Thomas Middleton was a prolific Jacobean dramatist whose plays today are regarded as ranking just below those of William Shakespeare and Ben Jonson on the early stage. For twenty years at the beginning of the seventeenth century, only a few playwrights rivaled him. Yet although he wrote some of the best comedies and tragedies of the period, Middleton failed to establish a reputation during his lifetime. London to Oxford, Leaving Without a Degree. Middleton was born in London to prosperous master bricklayer William Middleton and Ann Snow Middleton. No details survive of Thomas Middleton’s education before he matriculated at Queen’s College, Oxford in April 1598. Middleton did not complete his studies. Inheritance Disputes Provoke a Zeal for Playwriting. Middleton’s premature departure from Oxford was likely partly impelled by disputes over his father’s estate. When William Middleton died in January 1586, he had acquired interests in at least two substantial properties, and his will declared his children as partial heirs. However, their mother's remarriage wreaked havoc on their future prosperity. Her new husband, Thomas Harvey, was a penniless grocer who had lost what fortune he had with Sir Richard Grenville’s expedition to Roanoke Island. (European powers were keen to find ways to profit from the discovery of the Americas, and many risky expeditions to North and South American were undertaken through the sixteenth and seventeenth centuries. Grenville led the first British attempt to colonize Roanoke Island, off the coast of what is now North Carolina, but his attempt failed.) Within weeks of their marriage, husband and wife were quarreling bitterly over control of the children’s inheritance. That such control was theirs to quarrel over may seem strange in the contemporary era of protected trust funds and living wills, but during the sixteenth century children had little or no independent legal status, and could thus not directly inherit property until coming of age. As a writer for the Oxford Middleton Project explains, ‘‘So began fifteen years of lawsuits.... Middleton’s astute satire of the legal profession ... surely has its origin in this extensive early experience.’’ Court appearances reflect that Middleton was evidently in London at the end of 1600, and, as one testimony maintained, ‘‘daylie accompaninge the players.’’ His playwriting zeal may have begun at this point. One Book Burned, Another Unread. Middleton had, however, also shown early interest in writing. In 1597, when he was only seventeen years old, he published The Wisdome of Solomon Paraphrased, a long piece that went virtually unread. Two years later, he experimented with formal satire, but his Micro-Cynicon: Sixe Snarling Satyres (1599) brought no greater literary success. Worse, with six other satirical works, it was burned at Stationers’ Hall on June 4, 1599, by order of the archbishop of Canterbury. A Husband and a Working Dramatist. Some time before 1603, Middleton married Magdalen Marbeck, granddaughter of the well-known musician and theologian John Marbeck. Her brother Thomas was an actor with the Admiral’s company. Scholar Mark Eccles suggests that Middleton ‘‘met his wife through his association with the Admiral’s Men,’’ for whom he started to write plays in the same year. But he might well have met her somewhat earlier and then began to write for the company because of her connections and because he needed employment to support his household. Middleton is first identified as a working dramatist in Philip Henslowe’s Diary entry of May 22, 1602, when he shared an advance of five pounds with Anthony Munday, John Webster, and Michael Drayton for a tragedy called Caesar’s Fall or The Two Shapes. By 1602 Middleton was writing plays for Henslowe and collaborating with Webster, Thomas Dekker, and William Rowley, among others. His relative prosperity did not last. Queen Elizabeth’s illness and subsequent death in March 1603 and a virulent outbreak of plague closed the London theaters for more than a year, until April 9, 1604. Plague, Pamphlets, and Plays for Children. King James succeeded Elizabeth to the throne. The period of his reign, 1603-1625, is termed the Jacobean era. The arts flourished under James, as they had under Elizabeth, but not before the plague caused a bumpy start to his reign. Like many of his fellow dramatists, Middleton turned to pamphleteering for an income while theaters were closed. Biographer R. Cecil Bald has Middleton at the November 1603 execution of a Francis Clarke at Winchester and at nearby Newbury at the end of 1603, having left London to escape the plague. The Ant and the Nightingale or Father Hubbard’s Tales was licensed for publication on January 3, 1604. In March 1604 The Black Book was entered in the Stationers’ Register. Early in 1604, as plague deaths abated, Middleton was writing plays again. He composed a string of successful comedies of city life, including A Chaste Maid in Cheapside (1613), his comic masterpiece. Around this time—between 1603 and 1604—he started to write plays for the children known as Paul’s Boys, a reference to St. Paul’s Cathedral. These children, who attended the cathedral’s song school, and in some cases the grammar school, performed near the cathedral. The plays were all comedies and included such titles as his successful The Puritan (produced c. 1606). Tragedies and Comedies. The three years from early 1604 to the end of 1606 were intensely productive for Middleton, seeing him as a contributor, according to critic M. P. Jackson, of large sections of Shakespeare’s Timon of Athens. But steady work was cut short when the Paul’s company apparently ceased to play around the middle of 1606. Middleton was obliged to find other writing work. In May 1606, he handed over to Robert Keysar, Master of the Blackfriars, another children’s company, a manuscript of The Viper and Her Brood in satisfaction of a bond. The tragedy is known only from the lawsuit which mentions it. Because this is his only known association with that company, it is likely that Keysar’s dissatisfaction over his dealings with Middleton obliged the playwright to look elsewhere for income. In short time Middleton embarked on a series of tragedies for the King’s Men, the preeminent company of players, which contracted with Shakespeare and John Fletcher as their principal playwrights. The best of these, and Middleton’s first masterpiece in the genre, was The Revenger’s Tragedy (c. 1606). His second King’s company tragedy of this period was A Yorkshire Tragedy (c. 1606). He collaborated with William Rowley on several plays, notably the tragicomedy The Changeling (1622)—one of his most respected tragedies. In the late spring of 1611, the same year he wrote Second Maiden’s Tragedy, Middleton renewed his collaboration with Dekker to write another comedy for Prince Henry’s Men, The Roaring Girl. After at least one more comedy—No Wit, No Help Like a Woman’s (c. 1611)—he began working providing scripts for civic pageant shows, masques, and entertainments for the Lord Mayor of London. The extent to which Middleton’s final years were clouded by his connection with A Game at Chess is unsure. It seems that he did not write for the King’s Men again, or for any other company, and his relations with the civic authorities were shadowed by allegations of ‘‘abuses and bad workmanship.’’ Middleton died and was buried in the parish church of Newington Butts, in Southwark, on the south side of the Thames on July 4, 1627. His death passed without remark, either by elegiac verses or the publication of a commemorative collection such as those done for the works of Jonson and Shakespeare. Rene Descartes (1596-1650): The French philosopher and mathematician known as ''The Father of Modern Philosophy" for his profound influences on subsequent generations of thinkers. Ling Mengchu (1580-1644): A Chinese writer of the Ming Dynasty, best known for his short-story collections Astonished Slaps Upon the Desktop. John Milton (1608-1674): An English poet and essayist, he is best known for his epic poem Paradise Lost. Saint Vincent de Paul (1581-1660): A French patron saint who founded several charitable organizations, including Congregation of the Daughters of Charity and the Congregation of Priests of the Mission. Rembrandt van Rijn (1606-1669): A Dutch painter and etcher considered one of the greatest artists in European history. The Defense (1930), a novel by Vladimir Nabokov. Nabokov, himself a chess master, here presents the tale of an awkward young boy who discovers his enormous talent at the game of chess. Chess (1986), a musical by Tim Rice, Bjorn Ulvaeus, and Benny Andersson. Several songs from this musical became hit singles. The plot centers on a love triangle between major players in the world of chess championships. The Yiddish Policeman's Union (2007), a novel by Michael Chabon. This detective novel is set in an alternate-reality future in which Jewish refugees set up a settlement in Alaska after World War II. Chess figures prominently in the novel, both in the youth of the homicide detective and in clues surrounding a mystery he must solve. Surrounding Influences. Middleton’s plays, notably his comedies, draw extensively on his experience of London life from a middle position in society. For such plays, short summaries of these comedies show the extent of their common indebtedness to Middleton’s close observation of the disreputable side of London life. No Wit, No Help Like a Woman’s, for example, is Middleton’s first venture into the style of Romantic comedy made fashionable by Francis Beaumont and John Fletcher. The play presents a complexly interwoven tapestry of London characters and manners. As usual, the play centers on battles of wits: There is small security in Middleton’s comic world for any character, and even the best of them, such as Touchwood and Moll, can thrive only by their cleverness. Comic Style and Jacobean Morality. Middleton’s earlier comedies may be characterized generally as realistic farces. The realism is found in the detailed depictions of the excesses of middle- and lower-class London manners and attitudes; many of the rogues and fools are rendered in such meticulous detail that they would be easily recognized by audiences with knowledge of the complex city life the plays treat. Yet some of the characters are grotesques, people who in some ways seem scarcely to inhabit a real world. The exaggeration of their language and reactions, the general implausibility of the situations in which they act, and the buffoonery often introduced by their use of disguise are elements of farce. Though he is said to have had little enthusiasm or sympathy for such styles as he was obliged to use, Middleton was quick to follow the dictates of contemporary taste. Thus, morality elements are strong in his plays. Middleton had a talent for minimizing fine verse and allowing common moral generalizations to stand out. The plays’ feverous vices must often have distracted audiences, so this common feature of Middleton’s style was peculiarly effective to remind the audience of a world of morality. This was, it should be noted, necessary given the history of drama in England. For centuries, staged plays were regarded as licentious, wicked, and found their way into the common experience only through heavily Christianized morality plays and passion plays (the latter dramatizing the Christ story). Middleton was, then, caught in an era where moral justification was often still demanded for public performances—long before the dawning of the age of ‘‘innocent’’ entertainment now upon us. During his lifetime, Middleton had not established a reputation. Contemporary references to him are few and obligatory; only with the scandal-provoking A Game at Chess did he attract much attention. His literary reputation survives largely due to pioneering nineteenth-century scholars, although scholarship on his works is beginning to increase. His reputation in general has suffered from the fact that as a craftsman (rather than an artist) of the theater, he gave in to the dictates of contemporary tastes. This, critics suggest, compelled him to compromise his skills. His Second Maiden’s Tragedy (1611), for example, caters to the Jacobean audience’s sense of morality, reinforcing it at every turn with a complex structure of contrasts: The true Lady is contrasted with the faithless Wife; spiritual love is set against sensual love. Such a dramatic device is what scholar Anne Lancashire calls ‘‘exempla of the rewards of virtue and the evil consequences of vice,’’ and is what earned Middleton his audiences. 1. The picaresque novel was a popular early subgenre of prose fiction. The writing is typically satirical and features a picaro, a scoundrel or rogue, who moves through adventures tricking people and living on his wits. Investigate the components and details of the picaresque novel. Then, consider a Middleton play such as Father Hubbard’s Tale. How is the play a picaresque work? What characteristics of the play fit the definition? 2. One of the most popular kinds of plays in the fifteenth and sixteenth centuries was the morality play. Middleton gave in to common demands and wrote several of them. Research the elements of a morality play, and identify those elements you find in Middleton’s work. What do these characteristics tell you about people of the Jacobean period? How would you describe what was important to them? How do these values compare with values of people today? 3. Middleton made a living in the latter part of his career by writing masques—elaborate and festive entertainments for the court. What performances today would be near equivalents to masques? Who would the performers be? Who might commission such works? 4. Middleton’s career as a playwright was delayed for a year due to an outbreak of bubonic plague in London. Using your library or the Internet, research bubonic plague. In what ways were the realities of the plague reflected in Middleton’s work? Barker, Richard H., Thomas Middleton. New York: Columbia University Press, 1958. Farr, Dorothy M., Thomas Middleton and the Drama of Realism; A Study of Some Representative Plays. Edinburgh: Oliver & Boyd, 1973. Jackson, MacDonald P., Studies in Attribution; Middleton and Shakespeare. Salzburg: Institut für Englische Sprache und Literatur, Universität Salzburg, 1979. Middleton, Thomas, The Second Maid’s Tragedy. Ed. Anne Lancashire. Manchester, U.K.: Manchester University Press, 1978. Bald, R. Cecil, ‘‘The Chronology of Middleton’s Plays.’’ Modern Language Review 32 (January 1937): 33-43. Brooks, John B., ‘‘Recent Studies in Middleton, 1971-1981.’’ English Literary Renaissance 14 (Winter 1984): 114-125. Christian, Mildred G., ‘‘Middleton’s Residence at Oxford.’’ Modern Language Notes 61 (February 1946): 90-91. Eccles, Mark, ‘‘Middleton’s Birth and Education.’’ Review of English Studies 7 (October 1931): 431-441. George, David, ‘‘Thomas Middleton at Oxford.’’ Modern Language Review 65 (October 1970): 734-736. Jackson, MacDonald P., ‘‘An Allusion to Marlowe’s The Jew of Malta in an Early Seventeenth Century Pamphlet Possibly by Thomas Middleton.’’ Notes and Queries 29 (April 1982): 132-133. Phialas, Peter G., ‘‘Middleton’s Early Contact with the Law.’’ Studies in Philogy 52 (April 1955): 186-194. Taylor, Gary. ‘‘The Orphan Playwright.’’ The Guardian November 17, 2007. Malaspina. 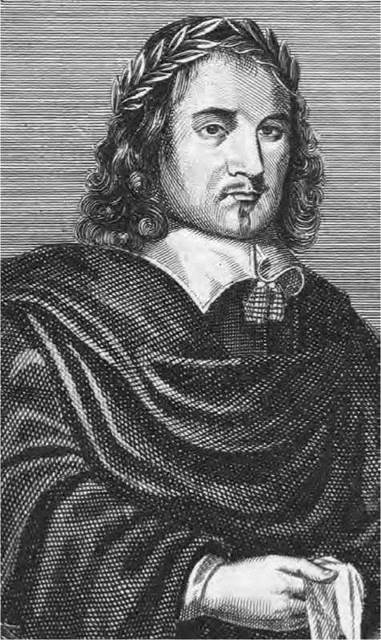 Thomas Middleton. Retrieved March 31, 2008, from http://www.mala.bc.ca/~mcneil/middletn.htm. Oxford Middleton Project. Thomas Middleton. Retrieved March 31, 2008, from http://thomasmiddleton.org/.Tech.org. The Plays of Thomas Middleton (1580-1627). Retrieved March 31, 2008 from http://www.tech.org/~cleary/middhome.html.